Cooking gas supply business in Kenya: The prices of cooking gas in Kenya havebrisen to a two year high. According to official data shows that the cost of refilling a 13-kg gas cylinder rose to an average of Sh. 2, 176 last month, up from 2, 170 in June and Sh. 2, 073 in July last year. These are highs that were seen before the government removed value added tax (VAT) on the clean fuel. Prices stood at an average of Sh. 2,231 in June 2016, and dropped to below Sh. 2,000 in October, four months after the scrapping of the 16 per cent VAT. The price has, however, has been on a steady climb since last August in line with rising petroleum cost, according to the Kenya National Bureau of Statistics (KNBS). The rise happened in an environment of rising inflation which rose to 4.35 per cent last month from 4.28 per cent in June. 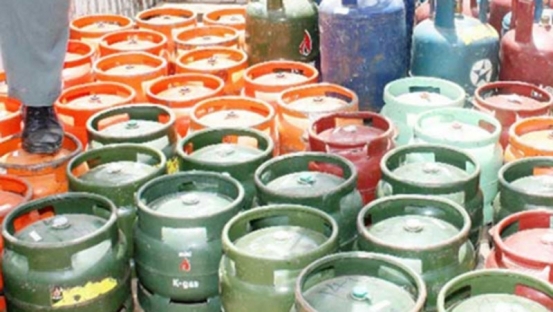 The rise in the price of cooking gas also follows the sharp rise in the price of petrol and other commodities such as electricity that have left many Kenyans struggling to get by. Gas has become the preferred energy source for households that can afford it in major towns, due to its convenience and cleanliness when compared to cooking fuel and charcoal whose cost jumped 68 per cent to Sh. 137.39 for a four kilogramme tin.